Today, we live in an era of technological advancement, where the new and latest is replacing the old one, in each and every sphere tech world. The gaming laptops have also witnessed the same changes and its avatar is now completely different from the other laptops. Toady, with powerful components, colorful designs, and premium prices, gaming laptops are a quite different from the typical mainstream laptops and notebooks. The introduction of VR-based games has also played a pivotal role in the change of the design and interiors of a Gaming laptop. There are various gaming laptops that are available in different price ranges and you can select them on the basis of Your budget, lifestyle and the games you want to play. By following tips and advice mentioned in the blog below, you will be able to find the best Gaming laptop suited for you in the price range of $800 to $5,000. Never buy a gaming laptop for low-end titles like World of Warcraft or Candy Crush, as these games can easily be supported by an integrated graphics card. Always avoid touch screen laptops, as they are more expensive and also drains the battery. Prefer to buy 17 or 18-inch laptops, as these are typically more powerful. Make sure the keyboard of the laptop is compatible with your requirement. Preferably buy laptops with Nvidia’s 10-series GPUs, as these are faster and more powerful, and also have support for VR-based games. Avoid laptops with low-resolution display i.e. less than 1920×1080 resolution. Go for laptops with high storage facility as it helps in faster game installation and overcomes load time. Get a laptop with at least an Intel Core i7-6700HQ processor, a Nvidia GeForce GTX 1060 GPU and an HDMI 1.3 port if you want to enjoy virtual reality games with an Oculus Rift or HTC Vive. How Much Portable Your Laptop Should Be? Minimal Portability (17 – 18 inches): If you plan to keep your laptop in your home and leave it on your desk or just move it between rooms, a system with a 17 or 18-inch display like the Origin PC Eon17-SLX 10 Series should be fine. Laptops in this size range are usually the most powerful because they have plenty of room for heat-generating components and fans to keep everything cool. However, it must be noted that these are heavy to carry, a tough fit for most bags, and too power-hungry to use unplugged for very long. Medium Portability (15 inches): If you want to use the gaming notebook on your lap and carry it around more often, consider a 15-inch notebook, such as the MSI GS63VR 6RF Stealth Pro. These systems weigh between 4.2 and 7.2 pounds while lasting an average of 5 hours and 50 minutes on a charge. Best Portability (13 – 14 inches): If you’re constantly on the move, you must consider 13 or 14-inch laptops like the Razer Blade and Alienware 13 R3 OLED. Notebooks in this size range typically weigh under 5 pounds and tend to have longer battery lives with an average endurance of 7 hours and 38 minutes. However, with Nvidia’s new 10-series Pascal GPUs, the shorter battery life has been witnessed. Another thing to consider with 13 and 14-inch gaming laptops is that they usually don’t come with the most powerful CPU or GPU because they just don’t have enough space to dissipate all the heat generated. The graphics card or GPU is the keystone of any gaming laptop. It delivers the images on your display by processing the data and transmitting the signal to the monitor. Mostly, you need a discrete GPU with its own dedicated memory, called VRAM (video memory). Although these tends to be a more-is-better mantra with gaming PCs, the average gaming enthusiast should be OK with 4GB of VRAM. The majority of gaming laptops ship with Nvidia GPUs, but if you’re partial to AMD, there are certain brands that allow you to configure your system accordingly. 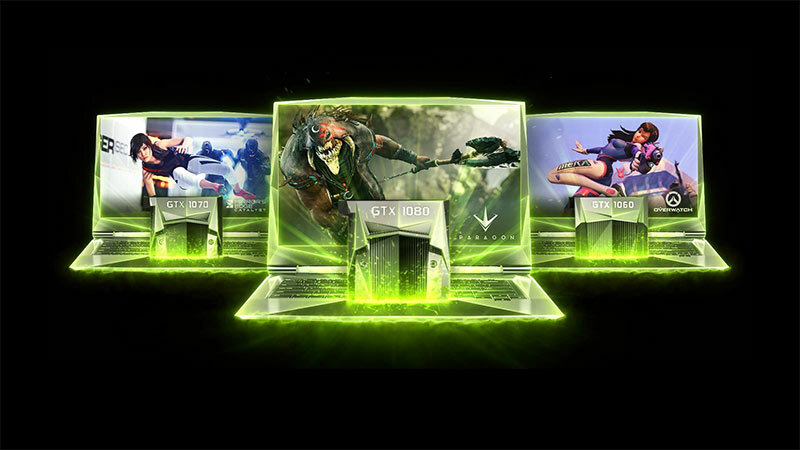 Nvidia GeForce GTX 1060: Laptops with 1060 cards can play taxing games like Metro: Last Light or Witcher 3 without sacrificing some of the cooler visual eye candy, including water reflections and natural-looking hair at 1920 x 1080. You might have to tweak the settings a bit at 4K, but not too much. Even better, you can hook up your Rift or Vive headset up for a mobile plug-and-play VR experience. Nvidia GeForce GTX 1070: The middle child of Nvidia’s suite of cards, the 1070 GPU is also VR-ready and capable of producing some impressive frame rates, but isn’t quite as good as 1080p. You can expect some serious smooth graphics at 1080p and 4K on top-of-the-line-games such as Hitman. Nvidia GeForce GTX 1080: This is the card to beat. 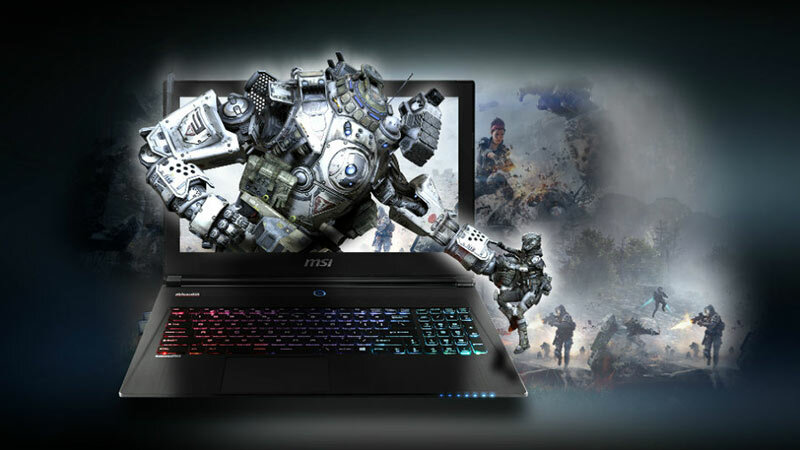 The gaming laptops outfitted with a 1080 GPU tops the category average on high-end games such as Rise of the Tomb Raider and Grand Theft Auto V with the special effects settings and resolution turned all the way up. And of course, Nvidia 1080 can easily support all your virtual-reality adventures. Scalable Link Interface (SLI): Since two is better than one, some laptops offer two GPUs in Nvidia’s Scalable Link Interface (SLI) configuration. The technology allows up to four GPUs to work together, scaling graphics performance for better rendering at extremely high frame rates. Some examples of SLI laptops include the Aorus X7 Pro Sync (which you can strap to your back for 360-degree VR gaming), the MSI GT83VR Titan SLI and the Origin PC Eon17-SLX 10 Series. The look of any laptop must be eye catchy and highly attractive because in the absence of it the value of beautiful graphics and other high-end features get diminished. 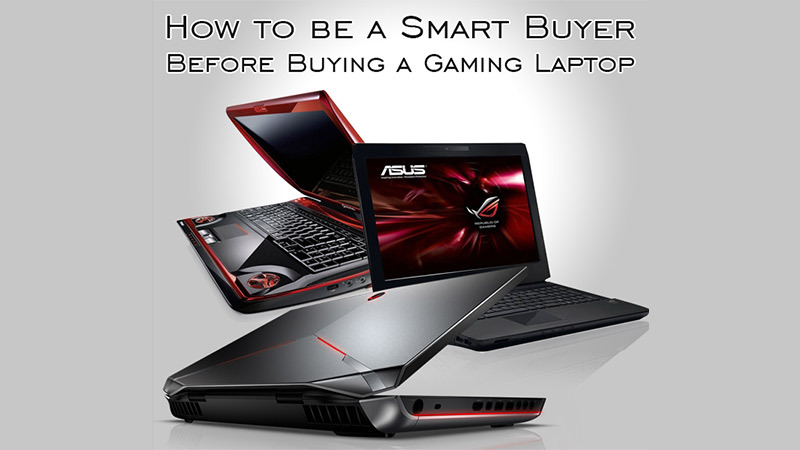 To prevent against this unfortunate turn of events, here are a few guidelines one can follow while purchasing a Gaming Laptop. Resolution: The minimum resolution for any gaming laptop is 1920 x 1080 — anything less than that is not worth buying. Laptops with QHD (2560 x 1440) or 4K (3840 x 2160) panels are becoming increasingly popular, praised for their striking details and color. Touch Screens: Some gaming laptops have started offering touch screens, which is nice if you’re going to be playing Candy Crush or Cut the Rope. But touch-screen displays with convertible systems or 2-in-1s is unnecessary on most gaming PCs. Matte or Glossy: How do you like your displays, glossy or matte? This is more a matter of preference than anything else, but there are die-hard fans for both. Glossy comes along with the vibrant colors, whereas, the matte panels keep you less worried about distracting reflections. OLED: Described as the future of display, an OLED (organic light-emitting diode) panel is comprised of the film of organic compounds that produce light when an electric current is introduced. The technology allows for thinner, more power-efficient panels that deliver incredibly rich color and contrast. The Alienware 13 R3 OLED is currently the only laptop to feature this technology. G-Sync or FreeSync: Several gaming laptops come with panels that support Nvidia’s G-Sync or AMD’s FreeSync technologies, both of which are designed to eliminate unsightly graphical tears and ghosting 0n monitors ranging from 1080p to 4K. While 60Hz is the current minimum refresh rate, there are an increasing number of monitors that offer 120Hz, which offers even faster rendering without introducing stutter. The sound is just as important as the visuals when it comes to gaming. Yes, most probably we have a headset that we all use most of the time. But sometimes you just want to let your laptop’s speakers work. The MSI-exclusive, Nahimic audio software is one of best and offers some of the best surround sounds in both headphones and speakers. It also provides several handy presets, Bass Boost and Voice Clarification software. Alienware’s Dell Audio software and the Dolby Home Theater v4, available in Lenovo notebooks, are some other top end Audio systems. Don’t get so hung up on specs that you forget about keyboard quality. You’ll be pounding on those keys every time you play a game or surf the Web, so you’ll want them to feel comfortable and look great too. The keyboard of a Gaming laptop must have a Key Travel of anything closer to, or over, 2mm is ideal. A good gaming keyboard should also offer customizable backlighting — not because it’s a necessity, but because it looks cool. It has been noticed that more companies are starting to embrace the loud, clicky joy that is the mechanical keyboard. Known for their marvelous springy feedback and trademark clicking sound, these keyboards offer some of the best typing you’re going to get on a laptop. In addition to the MSI GT83VR Titan, you can also get a mechanical keyboard on the Lenovo Ideapad Y900. If the GPU is the heart of a gaming laptop, then the processor and RAM are the brains of it. Your laptop’s processor (CPU) handles everything that doesn’t have to do with graphics, such as performing some of a game’s physics calculations and controlling its non-playable characters. It also affects the performance of all of your non-gaming applications, including your browser, OS, and productivity apps. When picking out your CPU and RAM, keep the following tips in mind. Intel only: You probably won’t find a compatible gaming laptop with an AMD CPU. Choose 6th-Gen Core (for now): The latest generation of Intel CPUs are the chipmaker’s 6th- Generation Skylake series that launched in late 2015. All Skylake CPUs have model numbers that begin with a 6 (example: Core i5-6200U), while older, 5th-generation chips have IDs that begin with a 5 (example: Core i5-5200U). However, Intel’s newest quad-core chip, codenamed Kaby Lake, are slated to launch sometime in Q1 2017. These new chips promise better performance and battery life just to name a couple of benefits. Core i5 Is Bare Minimum: When you’re shopping for your new gaming PC, an Intel Core i5 is the slowest CPU you should consider. Dual-core Core i7 models are a small step up. Quad-Core Is Ideal: If you’re in the market for a Core i7 processor, look for a quad-core chip instead of dual-core. You’ll know that a chip is dual-core by looking at the end of its model number. Quad-core Core i7 CPUs have suffixes ending in HQ or HK. HK chips are the fastest and even allow you to overclock them. Clock Speed Matters: Keep the clock speed in mind when picking out a CPU as higher numbers equate to faster speeds. A 3.4-GHz Core i5 processor will be noticeably faster than the same chip with 2.6 GHz. Some of Intel’s new Skylake chips can be overclocked, meaning the speed is adjustable via a program like Intel Extreme Tuning Utility. 8GB RAM is Enough: Don’t settle for any less than 8GB of RAM. Getting 16GB is a plus but isn’t as important as having a faster CPU or graphics chip. When it comes to gaming notebooks, faster is always better, which is why a lot of people love SSDs, particularly the new PCIe cards, which deliver blistering file-transfer speed. That extra boost of speed translates to faster game load times, as well as reducing all the annoying pause when your driver perform quick enough to keep up with the game. So what kind of a gaming laptop can you get with your budget? While it’s true that you get what you pay for, you’d be surprised to learn what $1,000 can get you. Following are the different categories based on price and the top features you must look out in that range. Gaming Laptops Under $1000: While you might see a few notebooks with Intel Core i5 processors at this price range, there are plenty with 6th-generation Intel Core i7 CPUs and at least 8GB of RAM. For the display, you can expect a 1080p display with average color, accuracy, and brightness. It’s rare to get an SSD below $1,000, but it’s likely to be outfitted with 1TB HDD (usually 5,400-rpm) and a last-generation Nvidia GeForce 960M GPU offering between 2 and 4 GB of VRAM. A budget gaming laptop with these specs can support most games at a solid frame rate at medium settings, but you can expect some trouble at higher settings. Gaming Laptops between $1000- $2000: In this price range, there are still a few Core i5’s hanging around, but the majority of the configurations will have quad-core Intel Core i7 CPU with 16GB of RAM and a 1080p display. Most notebooks will feature both an SSD and an HDD (with 5,400 to 7,200 rpm) and a Nvidia GTX 1060 or 1070 GPU with at least 6GB of VRAM. You can play most games on high and clear 60fps, but adding special effects can hamper the experience on the 4K resolution. Gaming Laptops between $2000- $3000: When you’re spending this kind of money, you’ll definitely get a quad-core Intel Core i7 processor with at least 16GB of RAM. You’ll find configurations with the new PCIe SSDs for lightning-fast game installs and loads. Screen-resolution options include 1920 x 1080, 2560 x 1400 and 3840 x 2160. Regarding graphics, you can get a laptop with a single 1080 or dual 1070M in SLI configuration. Gaming Laptops above $3000: This is where things get crazy. With this kind of budget you can get a high-res display, custom paint job, up to four SSDs in RAID configuration and a maximum of 64GB of RAM from manufacturers like OriginPC and Maingear. Depending on the notebook, you can get two 1080 GPUs in SLI configuration with each card sporting 8GB of VRAM. Not only can you play any game without worry of low frame rates, you can also use VR headsets like the Oculus Rift or the HTC Vive. What brand of a laptop are you going to buy? I am not going to push you for any specific one, but here are a few things about some of the top brands to think about while making up your mind. Alienware: Known for its distinctive spaceship design complete with out-of-this-world lighting, Alienware does a solid job of offering value while still delivering high-end specs. However, outside of its predetermined configurations, there isn’t much room for customization. The company typically offers a 1-year warranty with on-site service after remote diagnosis. Asus: Branded under the company’s Republic of Gamers series, the Asus’s gaming laptops have a sleek, stealth fighter design with an impressive set of specs. However, Asus doesn’t offer much in the way of customization. As far as the warranty, the Taiwanese tech giant typically offers a 1-year international with accidental damage coverage and a 30-day zero-bright-dot protection with 24/7 tech support. Lenovo: Lenovo gaming laptops are generally considered or said to come with the understated design. But beneath the plain and simple looks lie surprisingly high-quality specs. You can expect 4 to 5 configurations of each model and a 1-year warranty. MSI: One of the most innovative companies, MSI is known for its hulking, red-dragon-themed 17-inches laptops as well as its svelte 15-inch notebooks. MSI has included four SSDs and a mechanical keyboard with a digital touchpad into a system. MSI gives its customers a 2-year limited warranty. OriginPC: The default design of the laptops are typically not that much attractive, but they are the go-to-guys when it comes to customization. From custom paint jobs, thermal compounds to a TV Tuner, as long as you have the money, the sky’s the limit. OriginPC’s standard warranty offers lifetime 24/7 tech support and even offers a dead-pixel warranty in case of a defective display. Razer: Like MacBooks for gamers, Razer’s all-black laptops are some of the lightest and slimmest on the market. The only configuration options provided are for storage size and display resolution. The company has a 1-year limited warranty for all of its products. I just hope that the information in the blog is informative to the readers and will felicitate them with all the detailed information required before buying a Gaming laptop, and will act as a perfect guide in their voyage. If you have any suggestions regarding the blog, put that in the comment section. All the views and queries regarding the post are welcomed.